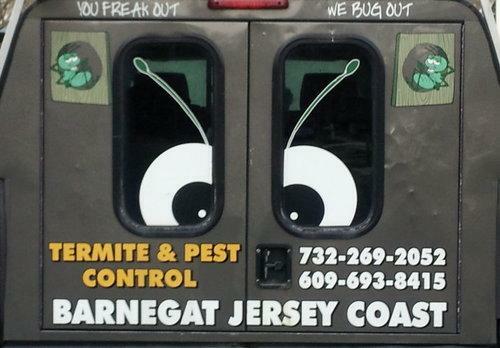 Serving all of Ocean & Monmouth Counties Including L.B.I. Have you seen us? If your at the jersey Shore, were right next door. Were your neighbors and have been for some 40 years. We provide pest control and humane animal control with courtesy and accommodation. We sincerely care about our clients best interests and have built our business on this. Many of our clients are friends and local business owners whose services we use in our every day lives. So we have a very personal concern for using cost effective and EPA approved methods of handling the termites, roaches, fleas, ants, bed bugs and other pests that try to inhabit your home or business. Since pests are always active we are available for complete and free inspections for your residential or commercial property any season. Our technicians are trained, licensed and insured and available to inspect and quote you a fair price. We pride ourselves in the humane way we handle animals like ground hogs, raccoons, squirrels and other animals that try to find a safe haven in your home. We keep families together but move them effectively to a more appropriate environment.We also offer free termite inspections, monthly contracts for businesses and can put your residence on our schedule for annual General Pest control with no obligations or contracts. Contact us at 732-269-2052 or 609-693-8415 for a free inspection.